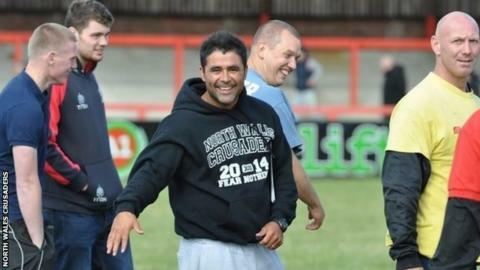 Anthony Murray will stay on as North Wales Crusaders head coach for the 2015 season. Murray was appointed in June on an interim basis until the end of season after Clive Griffiths stepped down. The ex-Barrow Raiders boss failed to save the club from relegation from the Championship but is looking forward to next season in League 1. "It's a fantastic opportunity for me to take over at Crusaders permanently," he said. "I did say from the start that I didn't want to take on the role permanently, but the opportunity ended up coming my way and I decided that I wanted to take it on. "The main goal for us is to build a competitive side and that we have the foundations set in place to do well."